Pulling off a stunning upset, Christy Clark held on to her job as BC’s 35th premier—and unexpectedly became the Valley’s newest MLA. How will she juggle her twin roles and what mark will Clark leave on the Okanagan? In the months leading up to the 2013 BC provincial election, Christy Clark’s Liberals trailed Adrian Dix and the NDP by as many as 20 points. But on election night, Clark raised her arm in victory, squelching questions about her leadership and silencing the media and pollsters whose predictions had gone awry. The people of BC had chosen, but so had the voters of Vancouver-Point Grey where Clark had failed to carry her own riding. As was the case when she won her party’s leadership in 2011, the premier was once again without a seat in the provincial legislature. Clark had been an MLA from 1996 to 2005, representing the riding of Port Moody. Following the Liberal victory in 2001, she served in Gordon Campbell’s cabinet. 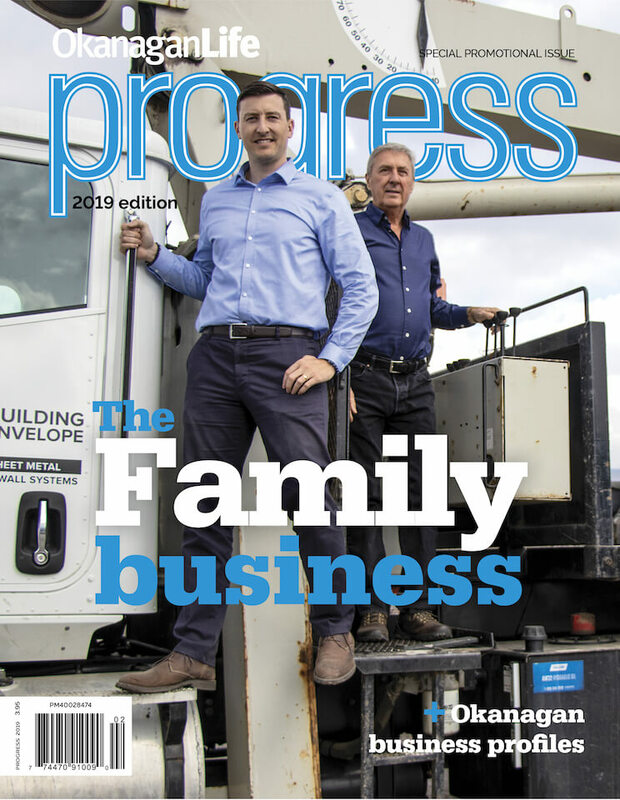 However, as the 2005 election loomed, the two-term politician stepped down, choosing instead to take a seat as host of an afternoon radio talk show and pledging to spend more time with her then three-year-old son, Hamish. But the lure of politics brought her back in 2011 as she announced her bid to lead the Liberal party. Clark won the heated race, beating former cabinet ministers and top-runners Kevin Falcon, George Abbott and Mike de Jong. To give her a place in the legislature, Campbell vacated his Vancouver-Point Grey seat and Clark narrowly won her first by-election. 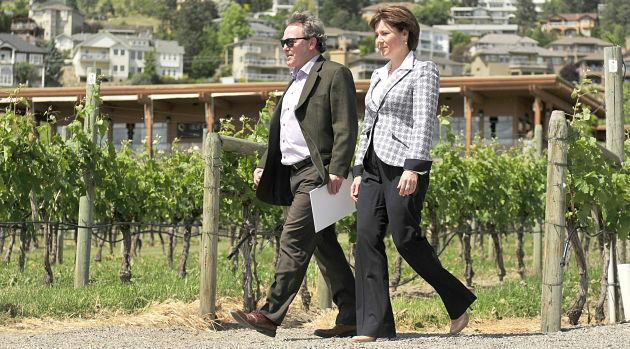 A few months after the 2013 provincial election, the 47-year-old walked the rows of an Okanagan vineyard, a long way from the urban stomping grounds of a Burnaby-born politician. 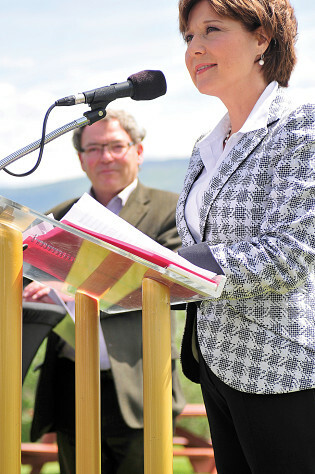 Beside her was Minister of Agriculture Ben Stewart, who had represented the riding of Westside-Kelowna since 2009. The south-facing slope above Okanagan Lake at Quails’ Gate Winery offers excellent growing conditions, a great vista and a picture-perfect backdrop for the news conference where Stewart surrendered the Liberal stronghold. With her second by-election win, Clark became the Okanagan’s newest MLA. 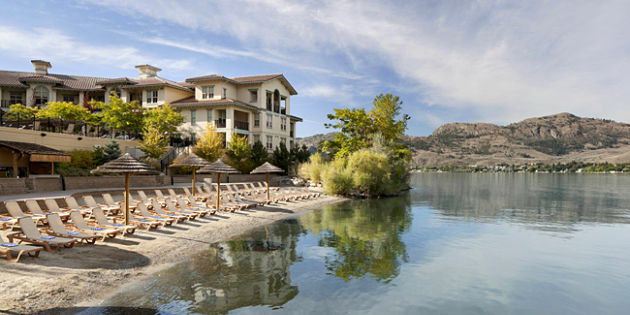 Okanagan vineyards would become a popular backdrop for the local MLA’s news announcements, and perhaps what may become part of Clark’s legacy—an update of the province’s liquor control laws. The wine industry is a driver of the BC economy, accounting for 10,000 jobs, luring 800,000 visitors and generating more than $476 million in tourism related economic impact. 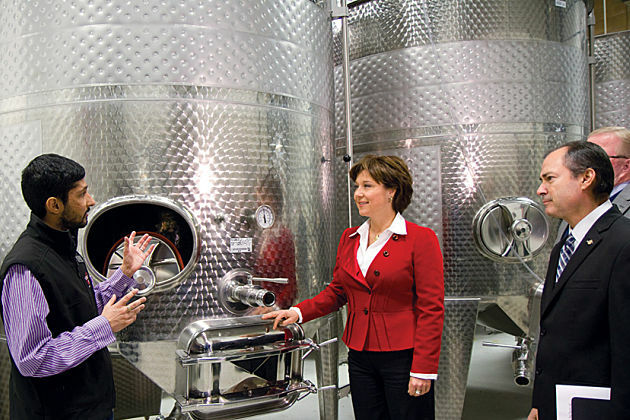 In 2013, the more than 227 licensed wineries in BC accounted for $203.9 million in sales. Add business revenue, wages and taxes and the total reaches $2 billion—an average of $42 of economic impact per bottle of wine. And entrepreneurs see the potential for even greater profit if liquor policy changes spur more growth. Following what government sources call “one of the BC government’s most successful public engagements,” which saw 76,000 web visits and 65 stakeholder meetings, Clark announced in December her government’s support for the first round of changes. 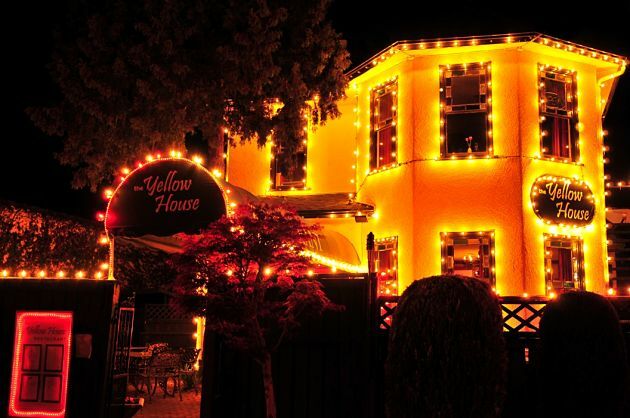 In a move that the Liberals say better reflects how British Columbians live, the proposed new legislation would let families eat together in pubs and restaurants, bringing down long standing barriers to small business. For the wine industry, the greatest win would be the ability to sample and sell at venues such as farmers’ markets, festivals and off-site tasting rooms. Clark is also hoping to streamline licensing requirements so wineries can more easily expand their on-site tasting venues, including picnic areas in vineyards. In addition, the proposed regulations would allow wineries to offer patrons liquor that is not produced on-site, such as a cold beer or gin and tonic. Vineyards bring us to what may be the touchstone of Clark’s first term as an Okanagan MLA—the Agricultural Land Reserve (ALR). It’s a passionate topic as evidenced by the feisty council debates in Kelowna as development pressures grew over the last decade, or more recently in Summerland, where a young action group sprang up in opposition to the council’s decision to swap prime farmland with land on the far outskirts of town. The premier has declared her position. “We need to make sure that it is working as intended, but the ALR has a bright future in our province,” she says. “I’m included in that long list of British Columbians (85 per cent) that say the Agricultural Land Reserve is important. We intend to preserve it. That modernization comes with a price tag of $4 million and the tutelage of Bill Bennett, minister of energy and mines, who is tasked with undertaking a core review of government. For many British Columbians any tinkering with the land trust put in place over 40 years ago raises suspicion. For Okanagan residents, the key question remains: can a Vancouverite represent the needs of Valley folk? “I don’t see my role as MLA in delivery for this community as being something that’s going to be at the expense of the rest of the province, it’s going to benefit the rest of the province,” she says. “Every MLA does this. You bring the concerns and the needs of your community to the table as part of everything that you do, every discussion that you have. Technology is a good example. I know a lot about the technology ecosystem here in the Valley and my vision is to make that a big part of growing this economy in the future. Clark announces her intent to run in Westside-Kelowna by-election. Above photos by Wade Paterson/Capital News. 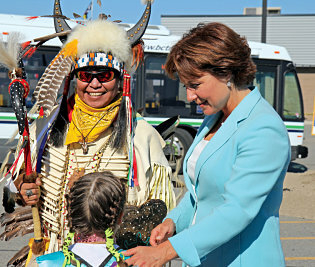 Clark with WFN dancers at Westside Rapid Bus construction launch. 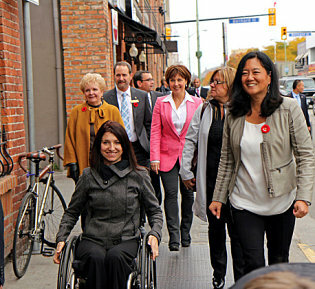 Premier Clark on a business walk in Downtown Kelowna. The premier, like many others, is looking to the promise of the technology sector. She’s quick to praise the work of government-funded Accelerate Okanagan whose mandate is to offer support to entrepreneurs and technology companies looking to start, accelerate and grow. However, Clark knows there’s more work to be done. Clark, who herself attended three prestigious universities, but graduated from none, holds strong opinions on education. As minister of education in the Campbell government she was responsible for some very controversial decisions and remains embroiled in controversy over the education system today.